Have you ever wished for hair that looked even closely similar to what you see on shampoo advertisements? Then follow these ten golden hair care rules, because they will give you lustrous, healthy locks in no time at all. 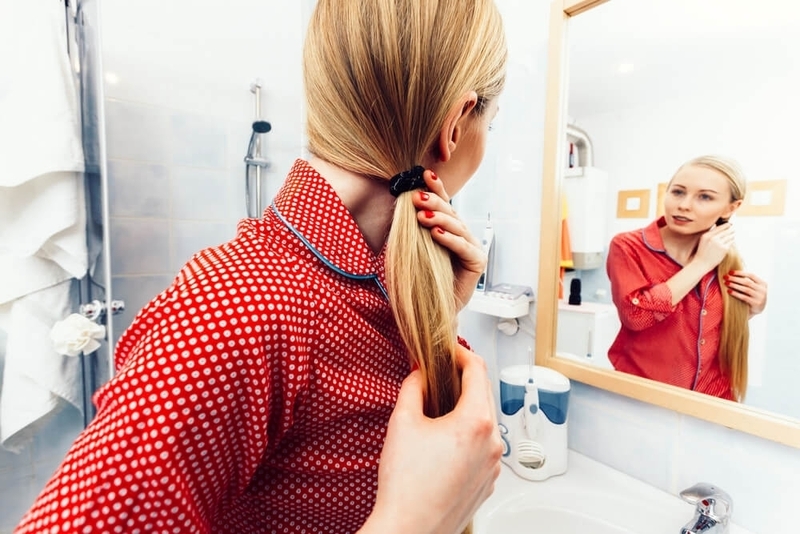 The idea of needing to do 100 vigorous strokes through your hair each day is nothing more than a myth, and can actually cause more damage than good. Because brushing your hair too harshly, as well as too frequently, scratches the scalp and damages hair. So, how often should you be brushing your hair? This all depends on your hair type, but, generally, once a day should be enough. 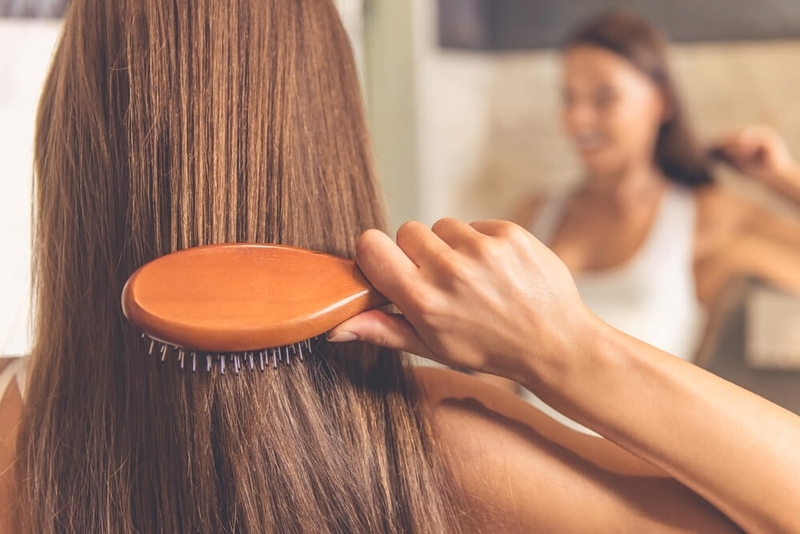 If your hair is extremely long or fine, you may need to brush it twice a day to prevent knots from forming, while those who have curly hair may even be able to brush it less, especially since curls are more fragile than straight hair. 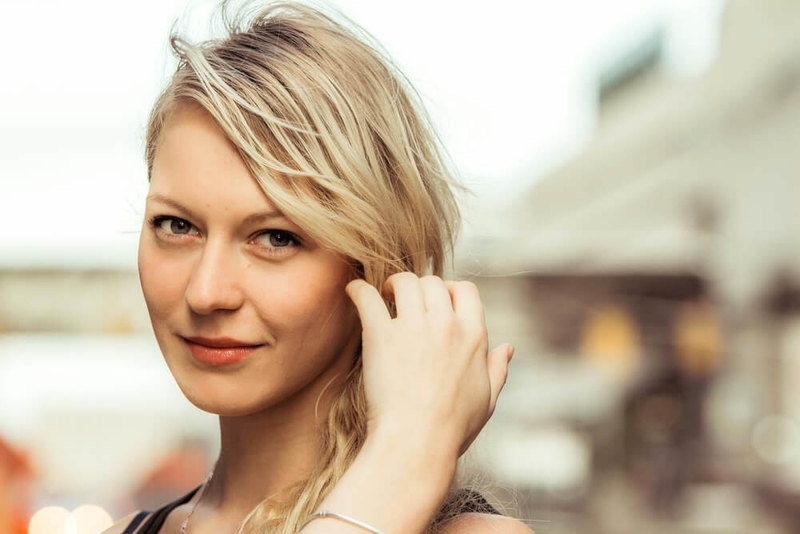 You should begin brushing the lower half of your hair first, before working your way up to the roots, as this prevents your brush from tugging at your hair, because of any tangles, at your roots. The answer should be at least once a month, because hairbrushes easily build up with hair, oil, dirt and product, all of which are a breeding ground for bacteria. Wondering how to clean your hairbrush? Mix a small amount of warm water and shampoo in a small bowl, and then clean your brush with this. You could also use a water and baking soda mixture, as well as a toothbrush, to ensure that you really make your way in between the bristles. No more than two to three times a week. If this is something that you do more often, you need to cut back, for a few different reasons. Firstly, your scalp produces natural oils, which are distributed down each strand of hair. The purpose of these oils is to nourish, condition and protect your hair, but, each time you wash your hair, these oils are stripped away. 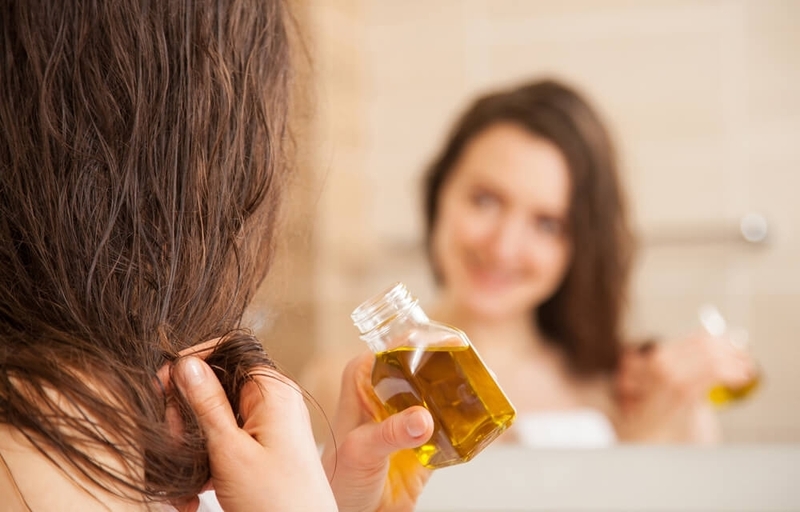 In order to compensate for this, your scalp’s oil production goes into overdrive, producing an excess amount of oil. This leaves your hair feeling thick and greasy, likely prompting you to wash it again, resulting in a never-ending vicious cycle. In addition to interfering with your scalp’s oil production, water actually causes hair to swell from within, pushing the cuticle up. Over time, this causes more frizz and breakages. If so, you need to wash it even less, as the shine and vibrancy of your color will dull down the more you wash it. Stick to just once or twice a week to keep the color looking fresh. The debate is still ongoing on whether it is best to wash hair in hot or cold water, and there does not yet seem to be a right or a wrong answer. When it comes down to it, the ideal temperature is going to lie somewhere in the middle, meaning warm water. It may be tempting to turn the temperature up a bit, but hot water damages the hair, while stimulating the scalp to produce extra oil. This will prevent any excess oil on your hair from being cleaned away. However, once you have washed your hair in warm water, turn the temperature down and give it a blast of cold water before stepping out of the shower. Wet hair is so much more delicate and fragile than dry hair, meaning that you need to treat it with the utmost of care. To begin with, make sure that you do not rub at your hair with your towel to dry it. Instead, blot it gently, as this will not only help to prevent damage, but will also encourage quicker drying. You likely already know that you should never brush wet hair. A wide-toothed comb is a much safer alternative to help remove any tangles, saving your brush for once your hair is completely dry. It can often seem as though the more shampoo you use, the cleaner your hair will be, but this is not at all the case. Wondering how much shampoo you should be using? A dollop that is about the size of a quarter for average-length hair, with slightly more for long or thick hair, and less for short or thin hair. Shampoo should only be applied to your scalp, and not to the ends of your hair. The ends will be cleansed as your shampoo runs down your hair when you are rinsing it off, so you do not need to be scrubbing away at them too. Instead, focus on your scalp, giving it a brief massage at the same time. This helps it to detoxify, while boosting circulation. Do you often skip out on conditioning your hair after you have washed it? If so, this is something that you need to stop doing, as a conditioner is actually really important. When you shampoo your hair, the cuticles, which are basically the outer shell of each strand, are roughed up quite a bit. A conditioner helps to smooth this back down, while re-balancing your hair’s pH level, which is usually thrown off by the ingredients in a shampoo. Conditioners also provide hair with a protective coating, not only important for when you style your hair, but also in terms of preserving color and moisture. When it comes to actually applying your conditioner, this is designed to be used in the opposite way to a shampoo, meaning that it should only be applied to the ends of your hair, rather than the roots. Because applying conditioner to your roots will only end up causing greasy locks. Just like with every other product out there, many brands use sub-par ingredients in order to lower costs. This is not something that you want for your hair, as a quality shampoo and conditioner will make all the difference to the health of your hair. So, what sort of ingredients should you stay away from? 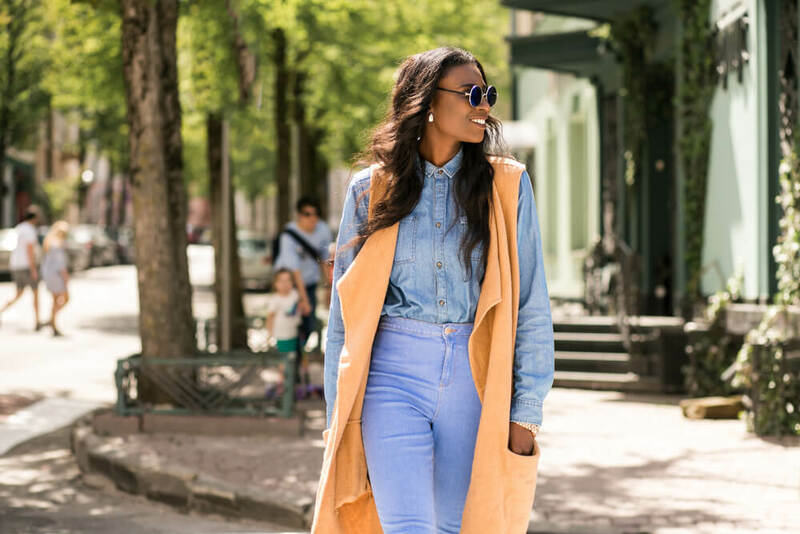 When you are in a rush, it can be all-too-tempting to reach for that curling iron or your hair straighteners, and give your hair a quick once over. Because heat styling tools can severely damage your strands, leaving you with breakages, frizz and split ends. So, what should you be doing instead? Make sure that you always apply a heat protecting product. These come in many forms, from oils to mists, so you will no doubt be able to find one that works well for you and your hair type. Even if you do use a heat protecting product each time you style your hair, the heat in general is still not going to be doing your hair any favors. 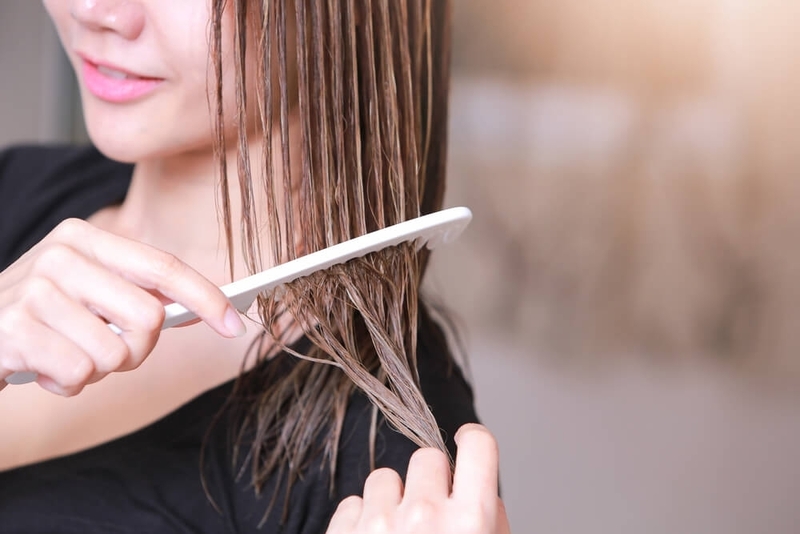 Many people use heated styling tools every day, and while this may seem unavoidable to some, you really do need to be giving your hair a bit of a break. There are actually many ways in which you can style your hair without the use of heat. There are also many hairstyles out there, such as a high ponytail or a bun, that do not require hair to be excessively styled, doing away with the need for a heated styling tool, at least on the majority of your hair. When you do need to use a heated styling tool, try to use the lowest heat setting possible. With your hairdryer, point the nozzle downwards, rather than straight at your hair, to minimize the amount of direct heat your hair receives. Unlike regular conditioners, hair treatments are designed to target specific hair issues, whether this may be heat damage or a reduction in hair growth. Just like when choosing other products, the type of treatment you opt for should depend on your hair type, as well as its individual needs. While all of this may seem like a lot to remember, it will not take long until each of these ten rules become a habit for you. This is something definitely worth working on, as your reward will be hair that is healthier, stronger and shinier than ever before.